As the temperature starts to rise over the busy summer season, it’s time to prepare your home for the challenges the summer heat can brings along with it. By taking small steps during this season, you will be able to keep your home safe and stylish and create a beautiful summer home to be enjoyed with family and friends! During the summer, bushfires are often a threat across the continent, claiming many properties along the way. To keep your property, home and family safe follow these tips. To prevent fires, first make sure all easily flammable items such as dry leaves, are either cleaned up or properly disposed of. This can be a tireless task but it important to stay on top of. More obviously flammable elements such as firewood, fuels and chemicals should be stored away from the house and covered with a fireproof barrier. When was the last time you checked that your fire alarm is working? This is more important than ever over the dry Western Australian summer. Protect your home by installing a reliable smoke alarm and make sure it’s checked every month. Ahead of summer, it’s also a good idea to review your insurance policy for your home and its contents so you can make sure their current value is covered. Lastly, we recommend that you check water access on your property and ensure you have working fire extinguishers on your property. After planning your bushfire protection, you’re good to lay back and enjoy entertaining guests in the Australian great outdoors! Evoke Living Homes are designed to make the most of the beautiful Western Australian landscape with large windows and alfresco areas that make them perfect summer entertaining. To enhance your outdoor areas more, we recommend that you start by building an atmosphere in your outdoor living space with colorful, bold pieces and patterns. Interesting and innovative lounge chairs or furniture adds style while also helping you and your guests to relax. You may also like to consider adding extra shade coverage or outdoor dining facilities. When it comes to your landscaping plans for the summer, consider using plants that are most likely to endure the summer heat. Plants like a Pink Rice Flower or a Tufted Bluebell, for example, are native and best suited for the WA climate. Water and mulch will be your best allies in keeping your garden looking pristine – just make sure you keep an eye on drought notices. Now for our favorite garden tip - instead of keeping potted plants on top of a water dish, we recommend that you replace it with moist sand so your plants stay hydrated without posing the risk of rotting your plants’ roots and/or becoming the perfect breeding space for mosquitoes! Now for your lawn. When you cut the grass, you can use the clippings as mulch to keep your other plants fresh and to activate compost heaps. I’m sure you’ll agree, a summer home should be a place where you get to make the most of the best weather in luxurious and beautiful Australian surroundings. Whether you opt to stay home or if you will be travelling this summer, we have put together a guide to ensure that you have a safe and enjoyable holiday season. Our expert team have crafted this article to impart some valuable advice on maintaining your summer home. 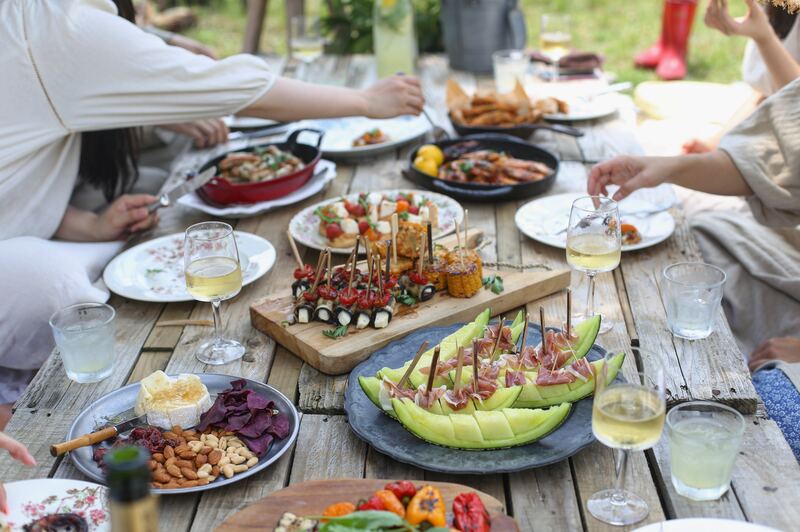 These top tips will help you to protect your family and property from the risk of bushfires as well as helping you to make the most of your outdoor entertaining spaces. At Evoke Living Homes, we are your country building specialist. Having built hundreds of homes on Western Australian properties, please reach out if you need any further advice and our experienced team will be more than happy to help.